Global HIV-1 treatment would benefit greatly from safe herbal medicines with scientifically validated novel anti-HIV-1 activities. The root extract from the medicinal plant Pelargonium sidoides (PS) is licensed in Germany as the herbal medicine EPs®7630, with numerous clinical trials supporting its safety in humans. Here we provide evidence from multiple cell culture experiments that PS extract displays potent anti-HIV-1 activity. We show that PS extract protects peripheral blood mononuclear cells and macrophages from infection with various X4 and R5 tropic HIV-1 strains, including clinical isolates. Functional studies revealed that the extract from PS has a novel mode-of-action. It interferes directly with viral infectivity and blocks the attachment of HIV-1 particles to target cells, protecting them from virus entry. Analysis of the chemical footprint of anti-HIV activity indicates that HIV-1 inhibition is mediated by multiple polyphenolic compounds with low cytotoxicity and can be separated from other extract components with higher cytotoxicity. Based on our data and its excellent safety profile, we propose that PS extract represents a lead candidate for the development of a scientifically validated herbal medicine for anti-HIV-1 therapy with a mode-of-action different from and complementary to current single-molecule drugs. Matthys H, Pliskevich DA, Bondarchuk OM, Malek FA, Tribanek M, Kieser M. Randomised, double-blind, placebo-controlled trial of EPs 7630 in adults with COPD. Respir Med. 2013;107(5):691-701. Chronic obstructive pulmonary disease (COPD) is a disease of chronic and usually progressive airflow blockage. It is not fully reversible, and it is associated with an abnormal inflammatory response of the lung to noxious particles or gases. Acute exacerbations can lead to death. EPs 7630 (Umckaloabo®; ISO Arzneimittel; Ettlingen, Germany) is an herbal preparation from Pelargonium sidoides roots that has been shown to have anti-infective and immunomodulatory activity in vitro. In addition, a systematic review and meta-analysis revealed that EPs 7630 is more effective than placebo in treating acute bronchitis.1 The purpose of this multicenter, randomized, placebo-controlled, double-blind study was to evaluate whether EPs 7630, as an add-on therapy, prolongs time to first exacerbation and reduces exacerbation frequency compared to placebo in patients being treated for moderate-to-severe COPD. The study was conducted in 18 centers in Kiev and Lugansk, Ukraine. The study included patients (n = 200; ≥ 18 years) with a history of chronic bronchitis (characterized by cough and sputum production on most days for ≥ 3 months/year for at least 2 consecutive years), stable disease, ≥ 3 exacerbations in the prior 12 months, and a forced expiratory volume during 1 second (FEV1) < 80% and ≥ 30% of predicted normal value (COPD-II/III). The spirometry for grading and reversibility testing of patients with COPD was performed ≥ 6 hours after the last ipratropium bromide/fenoterol inhalation. Only patients with an improvement of FEV1 ≤ 0.3 liter after 2 puffs of ipratropium bromide/fenoterol were included in the study. Major exclusion criteria were relevant cardiac diseases, pneumonia, active pulmonary tuberculosis, cystic fibrosis, bronchiectasis, lung cancer, asthma, infiltrates or other abnormalities of the lungs; COPD-IV; acute exacerbation within 4 weeks; known concomitant bacterial infection or respiratory tract infections; AIDS; concomitant medication with beta blockers, angiotensin-converting enzyme (ACE) inhibitors, regular inhalative glucocorticoids (except COPD-III) or oral glucocorticosteroids (except during exacerbation), anticholinergics (except ipratropium bromide), β2-agonists other than salmeterol or fenoterol, analgesics except acetaminophen, mucolytics and antitussives other than dextromethorphan/bromhexine/ammonium chloride, immune modulators (e.g., bacterial vaccines), or coumarin derivatives; known alcohol or drug abuse; tendency to bleed; gastrointestinal disorders; severe heart, renal, or liver diseases; and immunosuppression. Patients received standard treatment for COPD. Specifically, inhalation baseline treatment for COPD-II included salmeterol regularly and ipratropium bromide/fenoterol as needed, and for COPD-III, salmeterol and budesonide regularly and ipratropium bromide/fenoterol as needed. In the event of exacerbations, additional oral prednisolone and the antibiotics amoxicillin/clavulanic acid or ofloxacin were prescribed. As add-on therapy, patients received 3 × 30 drops/day of placebo or EPs 7630 for 24 weeks. The primary efficacy variable was time to first exacerbation of COPD. Exacerbations were defined as a subjective increase in ≥ 1 chronic symptom over baseline (such as increased sputum production, sputum purulence [yellow pus], and/or dyspnea [shortness of breath]) that required an extra visit to the doctor (moderate exacerbations) or an increased use of ≥ 2-fold mean dose of ipratropium bromide/fenoterol for 5 consecutive days due to increased respiratory symptoms, self-managed by the patient (mild exacerbations). Secondary efficacy variables were number and duration of exacerbations during treatment, health status, patient satisfaction with treatment, and duration of inability to work. Compliance was nearly 100% in both groups. The median time to first exacerbation occurrence was 57 days in the EPs 7630 group and 43 days in the placebo group (P = 0.005). When evaluating mild and moderate exacerbations separately, the time to moderate exacerbation was significantly greater with EPs 7630 than with placebo (P < 0.0001); whereas, the time to mild exacerbation was not significantly different between groups. The probability of remaining free of exacerbations was significantly greater for the EPs 7630 group than the placebo group (P = 0.005). The median duration of moderate exacerbations was about one day shorter in the EPs 7630 group. Significantly fewer patients in the EPs 7630 group needed antibiotic treatment during exacerbations compared to the patients in the placebo group (P < 0.0001, 37.8% and 73.3%, respectively), and antibiotic treatment had a shorter mean duration of treatment (P = 0.0466, 8 days and 9.8 days, respectively). After 24 weeks, patient satisfaction with treatment was significantly higher with EPs 7630 compared to placebo (P < 0.0001). The EPs 7630 group had a significantly lower average amount of days off work during a mild or moderate exacerbation compared with the placebo group (P = 0.004, 1.97 and 4.08 days, respectively). Also, the mean total number of days off work due to exacerbations during the study was significantly less in the EPs 7630 group than placebo (P < 0.001, 2.96 vs. 7.17 days, respectively). A total of 51.5% of patients taking EPs 7630 suffered from adverse events (AEs) compared with 40.0% of patients taking placebo. A causal relationship between AEs and EPs 7630 could not be excluded for 18 patients but was assessed as unlikely. Gastrointestinal disorders were the most frequently reported system organ class for which a causal relationship could not be excluded. The authors conclude that EPs 7630 add-on therapy was superior to placebo, particularly for moderate exacerbations, less consumption of antibiotics, improved quality of life, and less days of work lost. Health economic studies are needed to determine whether using EPs 7630 as an add-on therapy provides a benefit in terms of both patient outcomes and financial concerns (i.e., cost of treatment vs. health care utilization vs. loss of productivity vs. mortality rate). Kamin W, Ilyenko LI, Malek FA, Kieser M. Treatment of acute bronchitis with EPs 7630: Randomized, controlled trial in children and adolescents. Pediatr Int. 2012 Apr;54(2):219-226. Acute bronchitis is a common childhood illness. Although 95% of the cases are caused by viruses, about one-third of patients are prescribed antibiotics. Studies have shown that antibiotic therapy is mostly ineffective in acute bronchitis, unless the pathogen is of bacterial origin and known by lab test. A therapeutic alternative in the first-line treatment of acute bronchitis is EPs 7630 (the active ingredient of the product Umckaloabo®; ISO Arzneimittel; Ettlingen, Germany), which has been approved in Germany for use in adults and in children aged 1 year and older. EPs 7630 is an herbal drug preparation derived from the roots of Pelargonium sidoides (1:8-10); extraction solvent: ethanol, 11% (w/w). These authors conducted a randomized, double-blind, placebo-controlled clinical trial to demonstrate the efficacy and tolerability of EPs 7630 in children and adolescents suffering from acute bronchitis. This study was conducted between March 2006 and May 2006 in 11 Russian centers. Patients meeting the inclusion criteria were randomly allocated to 1 of 2 treatment groups. Following a baseline examination and subjective evaluations, the patients were scheduled for follow-up examinations on days 3-5 (visit 2) and day 7 (visit 3). To be included, the patients had to be aged 1-18 years; suffering from acute bronchitis with symptoms starting ≤48 hours before inclusion in the study; and have a total score of bronchitis-specific symptoms (BSS) ≥5 points at the time of screening. A total of 220 patients were randomized to receive EPs 7630 (n=111) or placebo (n=109) as follows: 10 drops 3 times daily for patients aged 1-6 years; 20 drops 3 times daily for patients aged >6 to 12 years; or 30 drops 3 times daily for patients aged >12 to 18 years for 7 consecutive days. No significant differences were noted at baseline between the groups for demographic and anthropometric data. Concomitant medication was taken by 6.3% of patients in the EPs 7630 group and 10.1% in the placebo group. Acetaminophen use was allowed and did not differ between groups. Antibiotics were taken by 5 patients in the EPs 7630 group and 3 patients in the placebo group. The primary efficacy variable was the change in the BSS total score from day 0 to day 7. The BSS total score comprised the 3 items "coughing," "pulmonary rales at auscultation" (also known as "crackles"; the clicking, rattling, or crackling noises that may be made by one or both lungs), and "dyspnea" (difficult breathing; shortness of breath). At each visit, those symptoms were scored according to a 5-point verbal rating scale from 0 ("not present") to 4 ("very severe"). From baseline to day 7, the mean BSS total score decreased by 4.4 ± 1.6 points in the EPs 7630 group compared with 2.9 ± 1.4 points in the placebo group. A continuous decrease in the mean BSS total score between baseline and day 7 was observed in both groups, but scores were significantly better with EPs 7630 than placebo after 3-5 days and 7 days: EPs 7630 vs. placebo ― day 0: 6.0 ± 1.6 vs. 5.8 ± 1.3; days 3-5: 3.6 ± 1.4 vs. 4.3 ± 1.4; day 7: 1.6 ± 1.4 vs. 2.9 ± 1.4 (P<0.0001 for days 3-5 and day 7, respectively). For the individual symptoms "coughing" and "pulmonary rales at auscultation," the mean decrease in BSS between day 0 and day 7 was more pronounced in the EPs 7630 group compared with the placebo group (P<0.0001). "Dyspnea" showed a nonsignificant advantage for EPs 7630. Regarding general symptoms, "lack of appetite" was significantly improved in the EPs 7630 group at day 7 (P=0.0003). Amongst other secondary efficacy variables were the response rates defined as a BSS total score of <3 points at day 7 (criterion 1); a decrease in the BSS total score by at least 4 points from day 0 to day 7 (criterion 2); and a BSS total score <3 at day 7 combined with a decrease in the BSS total score by at least 4 points from day 0 to day 7 (criterion 3). Response rates at day 7 were considerably higher in the EPs 7630 group compared with the placebo group. For all 3 response criteria, a statistically significant difference was observed for the EPs 7630 group (P<0.0001 for each). The treatment effect occurred significantly earlier in the EPs 7630 group compared with the placebo group (P<0.0001). Evaluation of the treatment outcome by the investigator and the satisfaction of patients with the treatment were each significantly better in the EPs 7630 group compared with the placebo group (P<0.0001 for both). Three adverse events were observed in 2 of the 111 patients in the EPs 7630 group, but a causal relationship was excluded in all 3 cases. Clinical laboratory parameters showed only marginal group differences. According to the authors, the treatment benefit was most pronounced for the symptoms "coughing" and "rales at auscultation," which could be explained by the improvement of ciliary beating as found in vitro.6 They suggest that this could be an important mode of action independent of antibacterial activity as most episodes of acute bronchitis are caused by viruses. The authors point out that even in diseases requiring antimicrobial therapy, initial treatment with EPs 7630 could "bridge the time between presentation of the patient and the final decision on an appropriate antibiosis, thus reducing the risk of uncritical antibiotic treatment." 1Kayser O, Kolodziej H, Kiderlen AF. Immunomodulatory principles of Pelargonium sidoides. Phytother Res. 2001;15(2):122-126. 2Kolodziej H. Fascinating metabolic pools of Pelargonium sidoides and Pelargonium reniforme, traditional and phytomedicinal sources of the herbal medicine Umckaloabo®. Phytomedicine. 2007;14(Suppl 1):9-17. 3Kolodziej H, Kayser O, Radtke OA, Kiderlen AF. Pharmacological profile of extracts of Pelargonium sidoides and their constituents. Phytomedicine. 2003;10(Suppl 4):18-24. 4Kolodziej H, Kiderlen AF. In vitro evaluation of antibacterial and immunomodulatory activities of Pelargonium reniforme, Pelargonium sidoides and the related herbal drug preparation EPs® 7630. Phytomedicine. 2007;14(Suppl 1):18-26. 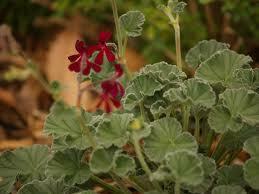 5Minigh J. Pelargonium sidoides as a treatment for acute bronchitis in children. HerbClip. February 15, 2008 (No. 050273-346). Austin, TX: American Botanical Council. Review of Treatment effect and safety of EPs® 7630-solution in acute bronchitis in childhood: Report of a multicentre observational study by Haidvogl M, Heger M. Phytomedicine. 2007;14(Suppl 1):60-64. 6Neugebauer P, Mickenhagen A, Siefer O, Walger M. A new approach to pharmacological effects on ciliary beat frequency in cell cultures – exemplary measurements under Pelargonium sidoides extract (EPs 7630). Phytomedicine. 2005;12(1-2):46-51. 7Agbabiaka TB, Guo R, Ernst E. Pelargonium sidoides for acute bronchitis: a systematic review and meta-analysis. Phytomedicine. May 2008;15(5):378-385.